In the 1930’s what political event in the country of Venezuela concerned a Curtiss Wright Junior CW-1? First of all, thanks for excellent website on the Junior. I have been researching which I found was sn 1222. 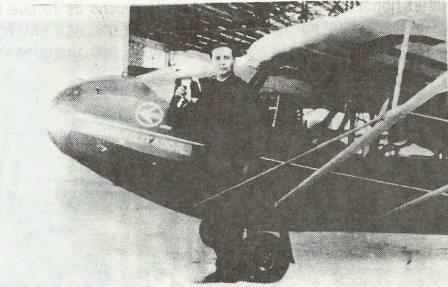 It belonged to the very first Venezuelan civilian pilot, Marco Sarcos Portillo. He learned to fly in the USA in 1920 but his attempt to bring his new plane to his country did not ended well, as civilian aviation was forbidden, so the plane was seized by the authorities upon arrival dissembled in a ship. Sarcos painted in the nose of the plane the name “El Rehabilitador”, with the intention to please the government (it was a name given to the president of my country). The picture shows Sarcos in front of his plane, I guess the picture was taken in the US. It does appear in a pair of Venezuelan aviation history books. The third picture is taken from a film clip, and shows which I understand is the same plane stored at Maracay’s Boca de Rio airport, in Aragua state, early in the 1940s. It aged and rooted. I am currently writting an article in spanish on the subject. Instead of retelling the story, here is the link to the article that Alejandro Iransquin wrote. Sarcos Marcos Portillo, The First Pilot Civil Venezuela. Alejandro also sent me a link to the following you Tube Video. Serial number 1222 show up about 1:40 into the video. Select here to view video.